Home > Basics > Getting Ready for Gluten Free on a Shoestring Bakes Bread! Getting Ready for Gluten Free on a Shoestring Bakes Bread! 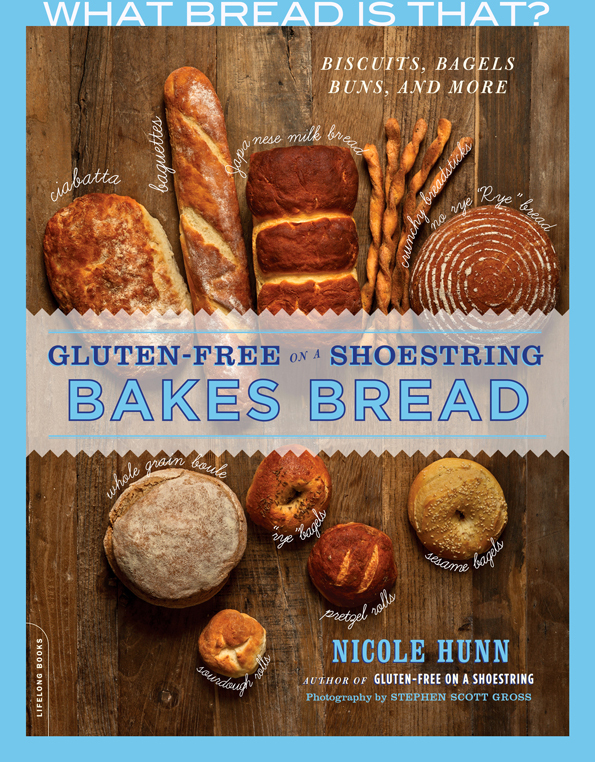 [pinit] Gluten-Free on a Shoestring Bakes Bread is coming! I promise it. It will not be delayed again (PROMISE). I know that many of you pre-ordered (thank you thank you thank you). I know what a leap of faith that is (the Look Inside feature on amazon isn’t even live yet!). I appreciate it more than you know. More than words can say. And since this is the Internet, words and pictures are all we have to connect us. I can’t bake for you, you can’t hear my voice and we can’t hug it out (at least not yet). I don’t take any of it for granted. Please do know that. You know that, though, right? Since, aside from giveaways, there isn’t a whole lot I can do for you in the meantime, I want to do everything I possibly can. Many of you have written to me to ask me, what do we need to get started once the bread book comes (finally!). And when you saw Mel’s post, you saw that you needed whey protein isolate* (see “recipe” below for discussion of dairy-free alternatives) and Expandex modified tapioca starch to make the Gluten Free Bread Flour that makes such beautiful gluten free bread. I can help with that. Scroll down and you’ll find a “recipe” with the list of everything you need (with descriptions wherever necessary) to get started as soon as you get the book, including sources for those less common ingredients. Now I know I’ve said it a million times before but it bears repeating: this is NOT the same gluten free bread dough you’re used to. It’s not like cookie dough. It doesn’t pull apart in shards, and … you don’t mix it with a paddle. It’s so special that, when you shape it, you actually get surface tension on the top of, say, a loaf of bread or a roll. You don’t “pour” the “batter” into a loaf pan. You shape it. But to get that smooth and stretchy dough, you need a machine with dough hooks. Prep time: A bit Cook time: >None! Yield: Gluten Free Bread! *The main all purpose gluten free flour blends I recommend is the Mock Better Batter blend here on the blog (or Better Batter itself, if you prefer). The other all purpose gluten free flour blend I recommend is the Basic Gluten Free Flour Blend, but with a bit of xanthan gum. **Dairy-free substitutions: The two non-dairy protein powders I recommend are NOW Foods Pea Protein (just read the description to ensure that it is, in fact, a protein isolate) and Growing Naturals Rice Protein Isolate (Original Flavor), both of which are readily available online. I speak more about how to replace whey protein isolate with them on page 10 of the book. 1. Currently, the best source in the U.S. for Expandex is Montana’s Gifts of Nature. You must order over the phone at 1 (888) 275-0003, but they are generally available to take orders 7 days a week. If you don’t get an answer, Larry said to leave a message and he will call you back. For complete sourcing information, please see my Resources page. 2. Readers outside the U.S.: I have arrived at a formula for using Ultratex 3 in place of Expandex. Please see #6 on this link of resources for details (including where to find Ultratex 3). Please google “Ultratex 3” in your country’s search engine and you should be able to find an online source in your country. You must be sure to use whey protein isolate, which is different from simple whey, whey protein or sweet dairy whey, all of which have at least as many carbohydrates as protein. Whey protein isolate is nearly all protein. I use NOW Foods whey protein isolate, and I buy big bags of it. The source with the best price varies from time to time, but I usually order it on amazon.com. It is also often sold at health food stores and vitamin stores, as it is frequently used by bodybuilders. I … am no bodybuilder. You absolutely will need a machine with dough hooks to get the smooth texture that you see on the surface of the bread in all the photos in the book—ideally a stand mixer with the dough hook attachment. I have a KitchenAid and it’s nothing fancy, but it gets the job done (even though it’s super old). Don’t have a KitchenAid stand mixer? 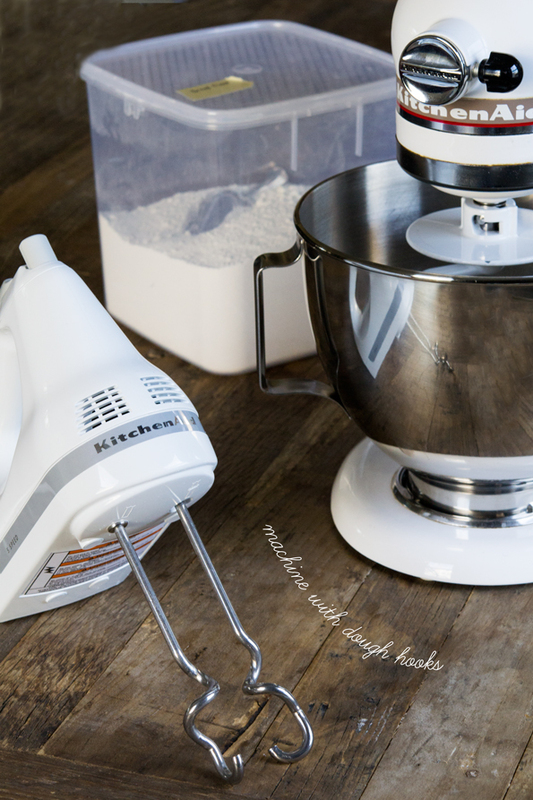 Well, next week you can enter to WIN the 6-quart KitchenAid stand mixer of my dreams (way better than the one I have!) here on the blog. In the meantime, and on the off-chance that you don’t win, I have had good results with a 5-speed handheld mixer with dough hook attachments. I was pleasantly surprised. Proofer … or a heating pad. The initial rise in each recipe in the book takes place in (ideally) lidded proofing buckets in the refrigerator, which leads to a slow rise and great yeast flavor development. The most important feature of a good rise is a constant, even temperature, and the refrigerator absolutely provides that. The second rise, however, must be in a warm, draft-free location (also with a constant, even temperature). There are ways to accomplish that without a Brod & Taylor proofer (although it sure does make things easy and lovely). But … the wild yeast sourdough starter necessary to make the sourdough recipes in Chapter 5, cannot be made without a warmer environment. In the book, I describe how to jury-rig a heating pad for this purpose. P.S. Don’t forget to enter the Bread Memories giveaway for a chance to win a copy of the book and most of the “must have” items listed above! It ends 11:59 pm EST Wednesday November 20, 2013, so get right on it! Hi Nicole, first great blog! I’m new to GF baking and definitely trying to go all the way GF and I love cooking and baking. I just purchased your new cookbook on breads and I’m waiting now for the order. I was able to get two orders of Expandex from Navan and they shipped it the same day and it was here within a day or two. Now for my question. Coming with your cookbook is a Brᴓd & Taylor Folding Proofer and a couple proofing buckets. My kitchen has everything else above already. I’ve been reading quite a bit of the comments and your posts and proofing in the right temperature but I never have read anything about using the Home Proofer. Will this help to get the GF bread to rise well? It’s going to be new to me and I bought it because I wanted to really get a good yeast flavor in the bread and I know this takes some practice. So what temp should it be on for say making a Brioche. One of first things I plan on trying to make are croissants!!! I’ve been dying to do those for my son with regular flour but I wanted to do it first with GF. Thank you! How different is “Ultratex 3” from Expandex? I ask since I ended up somehow with the Utratex when I couldn’t find the Expandex…. Nicole~ where do you get your dough rising buckets? I can only find them on King Arthur flour dot com. I was hoping for Amazon as I have prime shipping and was hoping Santa could bring me some for Christmas :) Thanks! Hi, Michelle, I get them on amazon.com. I buy Cambro brand. Just search for “Cambro” and be sure to buy ones that come with lids! Please see the resources page on the blog, listenup, for up-to-date information. I am anxiously waiting for the book and all the goodies I need to make some delicious breads! I CAN HARDLY WAIT! Hi, Laura, Not silly at all. I discuss this in the cookbook. It’s unflavored whey protein isolate. I use NOW Brand, and buy it on amazon.com. I just checked, and it is available on amazon.ca. Merry Christmas to you indeed!! On the upside, it’s $10 for more than one so if you know of someone else who eats gf near you, you could split the shipping. My sisters and I are all gf and we’re each getting it so we’ll split the shipping 5 ways and only pay $2 each. Karlie and Linda, I received an email from the owner of Navan Foods (we have been in touch about Expandex) and she told me that, for my readers, she is willing to ship to Canada. The shipping costs won’t be cheap, but she said that some may consider it worth it to get the product. And I’m still working on more suppliers, too! Are the protein isolates gluten free? I looked at Now Foods website and the allergy declaration on the whey protein and pea protein isolates states “Not manufactured with wheat, gluten, soy, milk, egg, fish, shellfish or tree nut ingredients. Produced in a GMP facility that processes other ingredients containing these allergens.” Does that mean there is a risk of cross-contamination? As someone with celiac, I would like to know for certain that it is gluten free! Deborah, I am satisfied that NOW Foods whey protein isolate is safely gluten free, and my celiac son has been eating it for about a year and a half without incident, but you have to make that decision for yourself. If you have questions, I would recommend contacting the company directly, or looking for another brand. There are a number of them. I have learned to use the warming drawer that is under my oven! I set it for about 3/4 towards the high mark on my GE gas oven place the bread pan with the sprayed plastic wrap over it into the drawer for 25 minutes. Comes out perfect every time now. I also have my regular oven on at the same time warming up to the baking temp. So I was going through my ingredients, making sure I was all set to make those “Olive Garden” breadsticks at Parents magazine, and I realized that I had ordered whey protein, not whey isolate. Egad. I don’t want to waste the $20 or so that I spent on this boo-boo, can I still use it in the recipes? Per scoop it has 19g of protein and 2g carbohydrates. I will be much more careful in my ordering next time, I promise. Hi, Sarah, whey protein isolate is 90% protein. If the product you bought is about 90% protein, it should still work. Just divide 19 g protein by the total amount of grams in that serving size, and multiply by 100 for the percentage. Hope that helps! AAagh! Delayed again. I was hoping to have it when I came back after thanksgiving. Please quit teasing us! I’m still not cancelling my order. Nicole, I doubt you’re ready for substitution type comments but since it is hard to get expandex right now just wanted to let you know I tried the Hawaiian rolls and I used Ultratex 8 in place of the expandex. I used half the amount since it’s supposed to be stronger. I was seriously impressed with the rolls. Soft. Perfect ‘chew’. No crumbs all over the place when I spread stuff on them. :) I did a post about them today. Now I really can’t wait to get the book. I just orders some Ultratex 8 – thanks for the suggestion – those buns look uber awesome! Does anyone know the method of modification used to create Expandex? Trying to rid my family of as much not-so-much-food-as-a-laboratory-experiment as possible–just doing my research before jumping in headlong, but not really succeeding in finding an actual answer…thanks to anyone who can help! It’s not genetic modification, Gillian, if that’s what concerns you. Expandex is just tapioca starch that is processed further to modify its capabilities. It is non-GMO, which is something you can’t say for many manufactured foods. Lots of foods are modified, and if you eat processed gluten free foods, you are most likely eating modified starches of one kind or another. If you are unwilling to use it and/or a small amount of xanthan gum, I probably would say it’s not a good idea to buy my bread book. Thanks, Nicole, for taking the time to reply. I guess I was just really trying to figure out how exactly they modify it? What chemicals or processes does it go through, ya know? I admit that finding out Expandex was a crucial ingredient in the new book put a little sag in my step but….I really want a good bagel (and the one on the cover looks divine)!!!!! I have not had a lot of success thus far with almost any of my bread attempts, not totally sure why….anywho, haven’t totally made up my mind yet but I’m strongly leaning toward yes :-) Thanks again! Hi Nicole! I’m trying to find a way to buy expandex or another modified tapioca starch here in Canada, but nothing is showing up in my google searches :( It’s just so, so expensive to ship from the States, because it’s often $20-40 shipping and then another $20-40 customs charges. I’m hoping the new source you’re looking at has good shipping prices! I want to make bread so badly but can’t seem to find ANY Canadian retailers for expandex. Hi Karlie – I got my Expandex from Navan Foods, but it doesn’t look like they carry it right now, darn! Actually – Expandex (annoyingly) is manufactured in Canada (http://www.casco.ca/eng/pdf/product_sheets/PRODUCT%20SALES%20SHEET%20STARCH.pdf)- just not sold here. And Expandex is not in the product list. However, searching for modified tapioca starch brings up Textra, which is advertised for being for thickening liquid foods. Not to worry, Adaptagirl. I have been in contact with them. Ingredion now owns Expandex, and nothing really has changed except for the website. They will sell 100 pounds of Expandex to anyone at all (just not less). I’m on it, though. I may have solved the whole problem, as I may have a much more reliable retailer lined up to carry it. More soonest! I live in Canada also and looking for Expandex. Travelling soon to Florida – hope to find some there. Is it available in grocery stores in the USA? It isn’t available in grocery stores where I live, anniehuffy, but I understand that it is available in some. Hi, again, Annie, Navan Foods has informed me that, for my readers, they are willing to ship to Canada. The shipping won’t be cheap, but for us they are willing. I hope that helps! Or you could have some delivered to Florida when you go there? Oh, I should add that yes, stand mixers are expensive new, but you c an get them cheaply on Craig’s list and even eBay. WHen I decided to go 100% wheat-free, bought one on CL for $175. It’s a very nice 6-qt bowl-lift model. Is expandex entirely necessary? I don’t feel entirely comfortable using it, to be honest. I have been experimenting with using psyllium in your yeast bread recipes from the first GFOAS book, with success, and whey protein isolate was going to be my next ingredient experiment (because I don’t like xanthan gum.) I’ve also been proofing the dough overnight in the fridge. In my experiements it seemed that adding the whey protein isolate, along with eggs, would add enough protein to make a robust dough. Yes, Priscilla, Expandex is necessary. I spent more than 6 months trying out various ways to build a gluten free bread flour, including no less than 8 separate protein powders. Expandex is absolutely necessary to make this bread the way I make it in the new book. Baking with psyllium husk requires significant amounts of extra moisture, which this new book does away with as a necessity of gluten free bread baking (unlike my previous bread recipes). I just bought two of your books and pre ordered this one. The first two have arrived and we have all been pouring over them. Thanks for not turning this cooking adventure into rocket science! Thank you, Shara! And … you’re welcome. :) I like to experiment, and that way you don’t have to quit doing the other things you do during the day which the people in your life count on you to do! As I mention in the post, the new book should ship for amazon preorders on November 25, so you should be able to have it in time for Thanksgiving (depending upon your shipping method). And if you are in need of a roll recipe asap, try the Gluten Free Hawaiian Rolls from the new book at Mel’s Kitchen Cafe! Got the book today,(Dec 9th). I looked at both sites you list for the Expandex. Navan Foods was still sold out and the other has a non functioning checkout page. Not your fault of course. I may just go all the way to Washington, to get it, when I go to Portland. Nicole, (or anyone else familiar with it) does whey protein isolate have a weird body builder supplement taste? I tried unflavored egg white protein powder once and still cringe when thinking about the taste of what was supposed to be unflavored. No, whey protein isolate doesn’t have any sort of aftertaste whatsoever. Egg white protein typically has a much, much coarser grain than other protein powders, and varies significantly from brand to brand. The whey protein isolate from NOW Foods (which is very readily available) is light as a feather and dissolves easily in your mouth (but is a little ‘chewy,’ which is why it’s so great in GF bread!). We are dairy free in my house & I am using NOW brand pea protein isolate for my bread baking, but I am glad to say that it doesn’t have that taste that you’re referring to. I’m not sure if the whey does or not though. I have tried the egg white protein before & that taste is horrible, I do cringe when I think about it. Will the new book be available as an e-book? Yes yes yes, Edna! It absolutely will be available for the kindle, nook and in ibooks! I have begged my publisher to get the ebook available for preorder but so far it hasn’t happened. It will definitely be available. I feel like it is Christmas I want this book now! I don’t think I have been this excited about something as much as I am excited about this! I’ve already warned my husband that there is going to be a lot of bread making coming. Yes, Heather, you do. As explained in Mel’s post in which she reprinted my recipe for gluten free Hawaiian rolls as well as other information about building the flour, you need all 3 elements to build the bread flour. 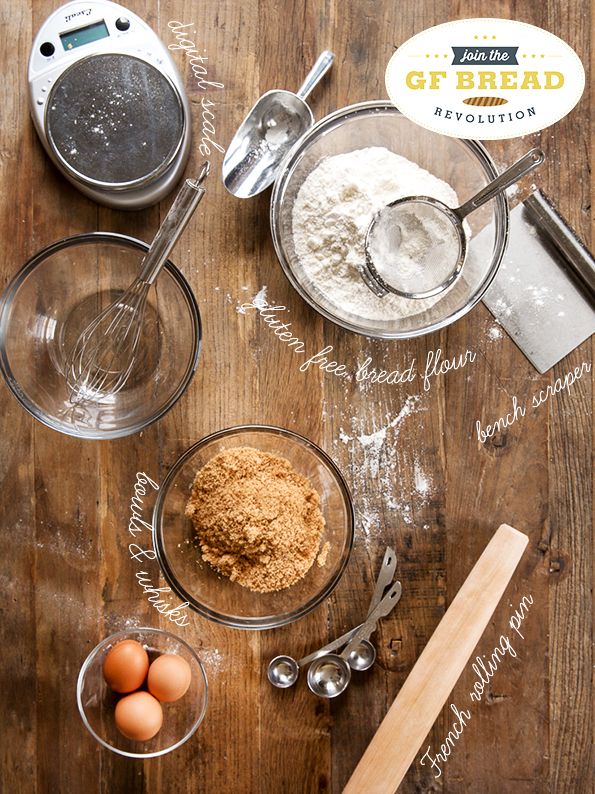 Better Batter alone is simply an all purpose gluten free flour. It is all explained in detail in the new book. I can feel your excitement through my iPad:). I love that you are just so committed to us rocking gluten free in a way that makes our friends wish they were GF too. I know that this is a job for you, but I appreciate the grace with which you answer all our questions and root for us to succeed at this, not to just buy your book. Fly out to my house???? We can celebrate our birthdays. Oh pick me!, pick me!!! That would be so fun, JoAnn! I was just wondering today if I could find a recipe for gluten free Hawaiian rolls! Navan Foods is already Sold Out of Expandex! Darn it! I hope they get some in again soon!! Or at least let us pre-order it. The only other option I found was a bakery that let you order 5lbs for around $24 and the shipping was $17. Might be a good idea by how fast things are going…. I’ve been working diligently behind the scenes to get more suppliers, jenny! Okay, here’s the latest: A natural foods store in Washington State carries it, and keeps it in stock regularly (it’s their biggest seller in their online store)! I just had a phone conversation with an employee there who spoke with the manager, and they are having some issues with their website right now, but when it’s fixed, you can order from there. Here is the store with a link: Nature’s Market. In the meantime, you can call them and place an order over the phone: (253) 854-5395. Again, I receive no financial gain from this transaction, in case you were wondering. Off to modify the post to reflect the new info! Thanks! I appreciate your quick and personal response. That’s why I LOVE your blog and you!! So excited for your book. You are a life saver :)…..really! I’d starve without you! ha ha! It’s as you suspect, Kate. You won’t be able to complete the order on Nature’s Market. It’s not that they’re out of stock. And Navan is, indeed, out of stock. Jules GF flour has Expandex–is there a way to add whey protein isolate to it that would approximate bread flour? No! Absolutely not, I’m afraid, Kathi. Jules Gluten Free Flour (which is a flour that I tested quite extensively a few years ago here on the blog) has tons and tons of Expandex. In fact, Expandex is the very first ingredient. There is essentially no way to control for that, as the quantity is just so high. Ahhhhh!!!!! I am so excited!!! Yours are my go-to recipes for all things baked gluten free and i love them all (although, i have had to do some minor adjustments to account for my pre-historic kitchen and lack of a kitchen scale). I pre-ordered the Baking Bread book ages ago and absolutely can not wait for it to arrive at my front door! And a digital kitchen scale is on my Christmas list! Thank you so much for everything you do! I can’t wait for the release of this book (and yes, I pre-ordered!). expandex isn’t even in the UK Google conciousness! I got loads of places to buy Spandex. Spandex can’t really be useful in GF baking. Do you have an alternative to expandex? or a suggestion of an alternative? Spandex is needed after you’ve eaten too many of Nicole’s awesome creations. You might try searching for “modified tapioca starch”? Oh no, Sharon! There are other makers of “modified tapioca starch,” actually (Willpowder being one of them), but so far I have found them to be stronger (even in the weaker of the two forms they offer) than Expandex. I don’t know exactly how much stronger, though, so I’m still looking. Maybe google “modified tapioca starch” in googleUK and see if it turns anything up? New to your blog but loving it thus far! I just made my first ten cup batch of gluten-free flour. Instead of a calculator, I created an Excel spreadsheet that does away with the math part completely. All you have to do is input the number of cups of flour you want to make and Excel does the math for you. Just tried to buy Expandex… Wow they are charging 10 buck for shipping! Yeah, I saw that, too. Price of Expandex: $5.99. Shipping: an additional $10. Yowza. I have found Expandex at my tiny, local GF shop. You might be able to find it in stores. Buy more, the shipping remains the same. Ok – this post has answered most of my questions about the book arrival and the new ingredients from the Hawaiian roll recipe (which I’ll admit freaked me out even though you have warned us several times). I’ll get to ordering the whey stuff and expandex. Do I have to store it in the fridge or freezer? I also need a dough hook – I think. I wonder if I have that and I shoved it somewhere… hmmmm.. I’ll have to start digging to see. What are your thoughts on Pullman bread pans? I have had the best success with them and I also like the shape/size of the slices – so great for sammys. If I haven’t said it lately – Thank you for all that you have done to let us lead a normal life. You are so greatly appreciated!!! I store whey protein isolate and Expandex in my pantry. Cool and dark. But I honestly go through it all so quickly that I can’t imagine ever having it go bad on me! I’m generally pro-Pullman bread pan. To be honest, it’s been quite a while since I’ve made bread in one, though. I used to do it quite often, but I haven’t made any of the “new” recipes with it. I’m sure it would be fine, though. I have the giant Kitchen Aid mixer, too, AND a brand new giant Cuisinart! I am ready for this bread baking deal, I tell you, very excited! Hey, that’s the exact mixer I have! When we had to go gluten free, I replaced my tilt mixer (contaminated with gluten and really no way of cleaning all the way into the motor) with that one. So I am SO ready to crank out some bread. I definitely think that once you know where to source ingredients from and have stocked up, it’s much less overwhelming. So everyone, order your ingredients now and they’ll be at your house before the book arrives! Say… you don’t have a Flickr group or an online photo album somewhere that people can share some photos of the bread they make, do you? Maybe FB can do something like that. I think it would be really encouraging to see everyone’s successes (and maybe failures, all in good fun). Sigh. If only we knew someone like that. Hey, Instagram is a great idea! I’ll ask my husband. I spend so much time on the Internet because of work that I actively keep myself away from social media and other things like that. Only if you’re on board with the idea, though. I thought it might be fun and encouraging to people. That mixer could make some awesome bread. The dough hook is a beast! I’ll report back after I’ve made some. I’m totally on board, Donia. Great idea!! Make your husband some brownie brittle and he’ll totally do it. It’s literally in the oven right now! I texted him a photo of it. That’s totally not weird, right? Not weird, unless weird means “fabulous”! Can’t you do this with Pinterest by way of a public or a shared board? Yup. You definitely can. Donia looked into it a bit, and it sounds like a Pinterest board is the best option, since it’s so photo-driven and highly searchable. I’m not sure if you have to invite pinners individually, or if you can just allow anyone to pin to a particular board. But I’ll figure it out. Thanks! Another lucky girl with a big mixer. I’m jealous! Woohoo! I knew I ordered a whack of Expandex tapioca for a reason and that indeed it was/is a good idea. Hopefully I can find the whey protein isolate in this country … ya know, Canada – where we make lots of great stuff and export it, but can’t sell it here because we just don’t have the market. Ah, I see – fewer eggs too because we have the whey protein isolate for the protein – nice – my family is not a big fan of eggy bread. I am so excited waiting for your book… 10 days… I’ll have time in 10 days! My 2 craft fairs (soap – speaking of chemistry in the kitchen) will be over. Great timing. Because, yes, it IS all about me… sigh… someday I’ll learn. Of course it’s the Linda Show, Linda! We’re all the stars of our own life shows! Nothing wrong with that. :) I really don’t expect that you’ll have a lot of trouble finding whey protein isolate. It’s actually probably much more common than most people realize, since it is used so often by bodybuilders. When my neighbor saw it in my kitchen, she said, “oh! my husband has a bunch of that!” And by the way, you’re such a bread smartypants! There are definitely many, many fewer eggs in these bread recipes than we have come to expect from gluten free bread. In fact, only breads that are always enriched with eggs (like brioche) will have eggs in the recipe. Many have none at all! Well, thanks Nicole – I may sleep tonight – uh, I usually do… good to know about the eggs and the availability of the whey protein – I probably have run into it before with my kids (ahem, young women’s) fiddly diets. I live in Canada as well, and am having a hard time finding Expandex. Could you let me know where you found it? Thanks. Being psychic, I got my Expandex over 2 years ago – maybe try the Ultratex-3 option at Modernist Pantry? http://www.modernistpantry.com/ultra-tex-3.html – they charge reasonable shipping. Thanks! So excited for your book, and now I feel a bit like a chemist! Does whey protein concentrate work the same in baking as whey protein isolate? Okay, Allison, now we’re bread geek friends for life! There is SO much chemistry behind all of this, and it’s one of the things I love the mostest about developing recipes. The mostest! The amount of work you have done to bring this book to us – holy moly, enormous! Thanks for all you do! Expandex and whey protein isolate are now on their way to me, I’ve already got everything else, and once your book is in my eager little hands, I am all ready to get my bake on. From one bread geek to another, YOU ROCK! Thank you!